Andy: Change is in the air as we kick off the next installment in our Roundtable Review series. First, while Cory Barker will be sitting out the next few weeks, we’ve brought in two estimable This Was Television writers to fill in for him: Jessica Ritchey, who pens our weekly reviews of Beauty and the Beast every Friday, and J. Walker, who writes the monthly feature Same As It Ever Was?. Jessica and J., welcome aboard. Second, rather than explore a single series as we did with Taxi and Blackadder, the Roundtable for October is focused on a theme. For the next four weeks we’ll be watching horror/suspense programs (in celebration of Halloween, naturally) and discussing how this especially tricky genre has been handled on TV. As an art form, horror often seeks to penetrate the particular anxieties facing a culture or an era. As a medium, television has historically been more concerned with palliating or blocking out those anxieties, giving its audiences a safe place to escape the worries of the world. How does that tension help or harm the ability of TV to successfully deliver thrills and chills with an undercurrent of meaning? 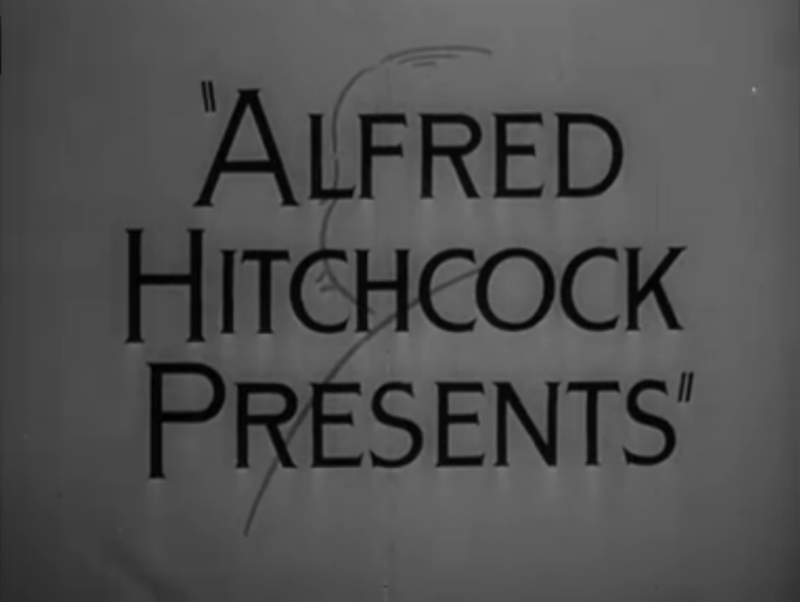 For many reasons, it’s fitting that we begin our exploration of this topic with Alfred Hitchcock Presents, an anthology series created and hosted (though seldom directed) by the master of suspense himself. For one thing, this week marks the 57th anniversary of the program’s debut. More significant is the fact that this episode, “Breakdown,” hinges on a premise that incorporates a slew of universal human fears all at once. Joseph Cotten plays a man left paralyzed by a car accident—his brain works normally, as evidenced by the internal monologue that overlays the story, but he can’t move a single muscle and is consequently presumed to be dead. If he can’t find a way to communicate with someone, he’s liable to be treated as a corpse, with all the unpleasant implications such treatment carries, not excluding autopsy and interment. Here are the visceral, core fears captured by the story of a man held prisoner inside his own body: Isolation from humanity. Lack of even partial control over one’s life and surroundings. Complete loss of freedom. Cognizance not just of one’s impending death but of the inexorable physical breakdown that prologues it. Virtually every fear or anxiety we’re capable of stems from one or more of these roots. Through the episode Cotten is realizing all of them, one by one, with mounting terror masterfully conveyed only through his off-screen narration. The disconnect between that and his placid face adds another layer of discomfort, until we’re projecting our own sympathetic fear onto his features (especially his unblinking eyes), even though they haven’t moved a hair. “Breakdown” serves as a catalog of everything that rattles and numbs the core of a human being. What more fitting way to start a conversation about the many shades of TV terror? 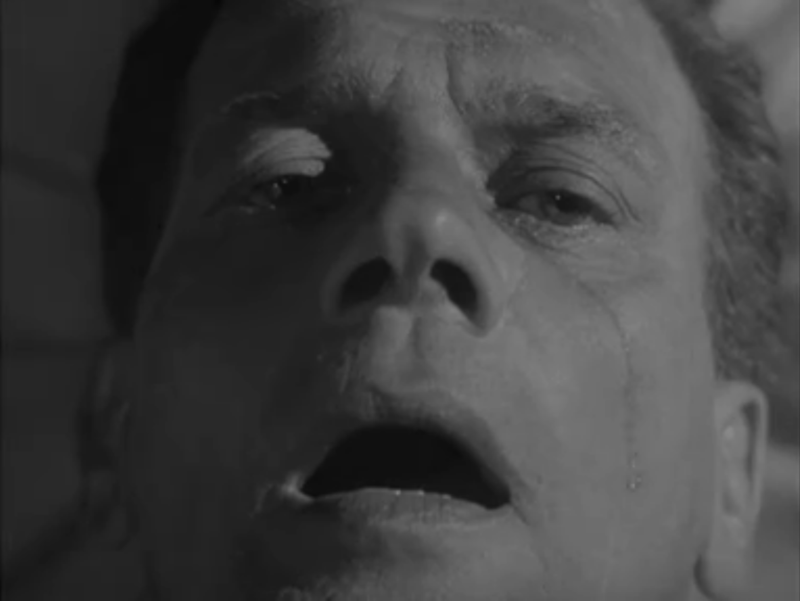 J.: One of the strongest choices “Breakdown” makes—and it really is quite brilliant—is that it introduces Joseph Cotten as unsympathetically as possible. The first instinct in a story like this might be to make the protagonist an Everyman, to help the audience relate to him right away, but not here: we meet him as he sits on a beach, in a bathrobe, dismissing an employee by telephone, and when the poor fired accountant begins to openly weep and beg, Cotten hangs up on him. It sets up the ironic twist at the end, of course—this man so distasteful of human emotion is eventually saved when he, too, breaks down in tears—but it also spells out for the audience that this is Not a Nice Man. 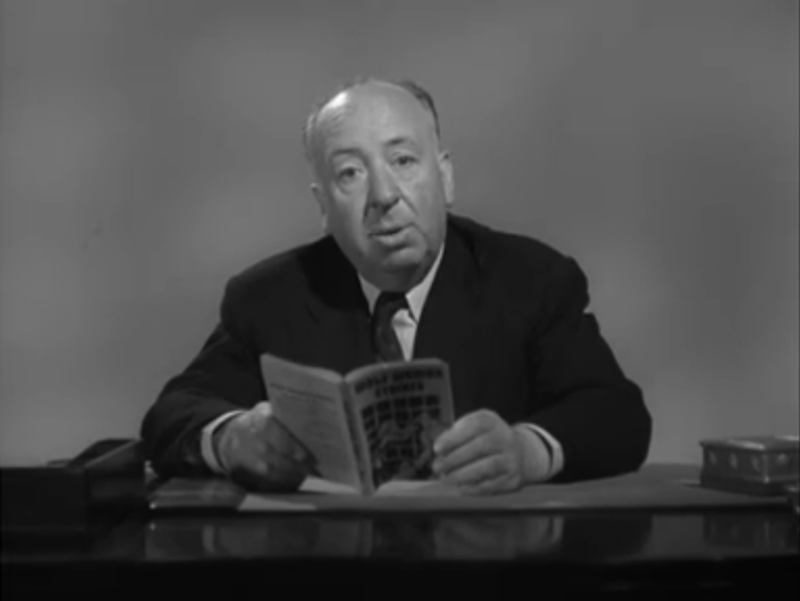 I don’t have much experience with Alfred Hitchcock Presents, but what I do recall are stories which are set up like this one is at the start: someone does something bad, someone else tries for revenge, something something twist ending. So after that opening, I was waiting for a story about that sad, sobbing accountant coming after Cotten for vengeance. What we get instead is truly unsettling, and I think making the protagonist a bad guy makes it even more so. Sure, he’s a jerk, but not even he deserves this. It’s almost Poe-like; I was getting a real “Cask of Amontillado” vibe from the scenes where various ruffians show up to steal his clothes and strip his car. This, to me, is what television horror can do best. TV budgets can’t often get monsters right, and it’s not easy to scare someone when they’re sitting on their own couch. But where you can get an audience’s wheels spinning is with discomfort: a situation so uncomfortable and unpleasant that they wouldn’t wish it on anyone. Even a guy who fires people in his bathrobe. Jessica: I think it’s key that this was one of the episodes Hitchcock directed. He’s always had a fascination with powerful men brought low, either through no outward fault of their own, like Cary Grant stumbling into an international conspiracy in North by Northwest, or through their own weakness, like James Stewart’s curiosity getting the better of him in Rear Window. Here it’s done with the wonderful economy of television: this is a man who will punished, and who may deserve to be. But I think Hitchcock also showed much more sympathy to his male protagonists. Cotten will be put through the ringer, but he will be saved. No shower stall at the Bates Motel for him. Yet, as has been said, there’s a wonderfully terrible universality to what happens to him. We’re all afraid of not being in control—coupled with the all too sharp knowledge of how little we are. I also like how how the locals and prisoners who strip his car and clothes aren’t nice people either; it would have been too easy to make them saintly small town folk against Cotten’s big city dealer. That’s life though. You never know who may save your life, or what may for that matter—like Cotten’s final surrender to helplessness that inadvertently alerts that he’s still alive, that he still has a heart. Noel: That was great. If I had time, I’d be marathoning the hell out of this series for more of the brief, wonderful, and riveting thrills. Damn you, fall TV season! You’ve all hit on why the episode works on a fear level. For me, it was the little things that get you. Sure, none of the people who encounter Cotten help him, but his joy at being able to move his finger is undercut first by the noise of the engines drowning out his tapping, and then by position in which the morgue workers have laid him, pinning his hand under his body. It’s gut-wrenching because those little elements conspire against Cotten rather than big, scary forces. Mundane things almost destroy him, and that’s what is ultimately so terrifying about the story. What I’m saying is that Ryan Murphy could learn something from this. Speaking of Murphy, and since we’ve only talked briefly here about anthology shows, I want to voice my love of Hitchcock’s presence during the episode as the host. His persona is on full display here—witty, morbid, and charming—and it makes me miss the role of the anthology show host. Can you imagine Murphy doing brief introductions to American Horror Story? While I find Murphy to be awful on TV, I think I’d find some pleasure in seeing him frame his own work on a weekly basis. If you’re an anthology show, why not go all the way? Les: Well, that was a bit of a near thing. I don’t have as much experience with Hitchcock as I’d like (I literally can’t remember the last time I’ve seen any of his films) but like you Noel, this has me raring to watch as much as I possibly can thanks to the man’s sardonic presentation bookending this frankly wonderful story. 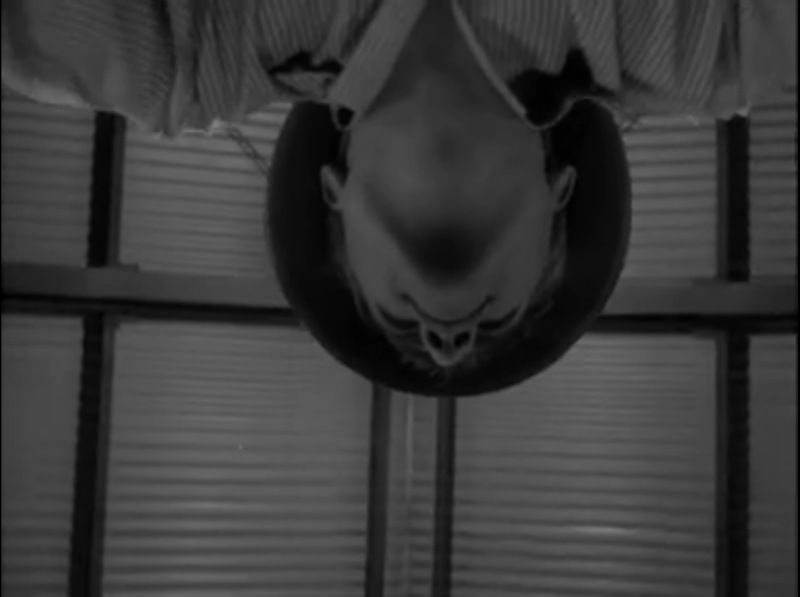 I’m a ridiculous fan of “Time Enough at Last,” that most iconic of Twilight Zone episodes, and this was a wonderful use of those same themes of isolation that make for the best psychological horror. Cotten does a terrific job of both keeping his face immobile and voicing the increasing desperation as one opportunity to save himself after another passes by, and the camera’s ability to grow increasingly closer to his paralyzed face just shows off how damn good Hitchcock was as a director. J., you mentioned the Poe vibe from the convicts stealing his possessions, but the vibe I got was less “Amontillado” and more “The Tell-Tale Heart.” Cotten’s tapping of his one functional finger starts as his sole comfort about being able to express himself, but becomes an ominous repeat as the camera pans up to reveal the night sky. The reveal that his hand was trapped underneath his body was terrific dramatic timing, especially as Cotten spent so much time building that up as the one thing that would save him. I have to admit, I was surprised that Cotten manages to survive the episode. It seemed very much of a piece with those stories where we end on a terrifically dark moment, our protagonist’s fear of being buried alive actually coming to pass. And even though that’s not the case, the tension of the event never fully yields until the end, when he comes to life in a way that calls back marvelously to the warning he was given at the start of the episode. Just a fantastic bit of psychological horror, and a great start to this new format for our roundtable. Looking forward to the literal horrorshow discussion this month. I’ve just watched this episode. It was amazing. It seemed a Edgar Allan Poe tale, suspenseful and interesting until the very end.